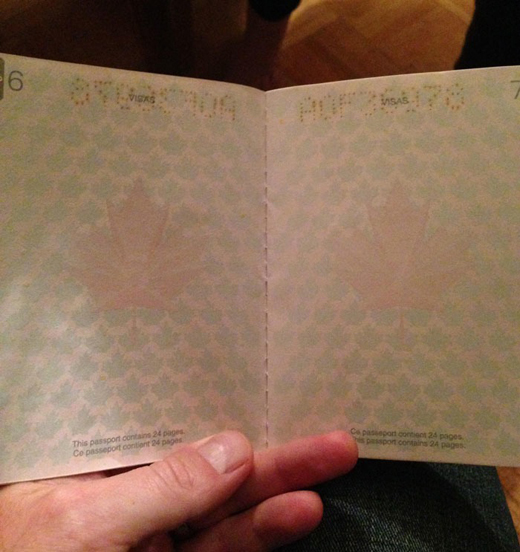 Back in 2013, the Canadian government announced some passport updates. 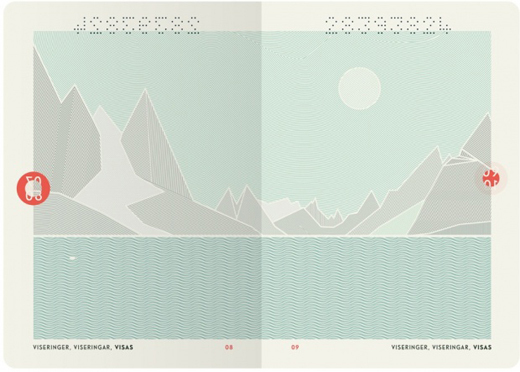 Mostly, these were new security features – digitally embedded photos and electronic chips – as well as updated renewal terms and watermarks. And if your eyes glazed over reading that list, you walked right into their mild-mannered, hockey-playing, maple-flavored trap. 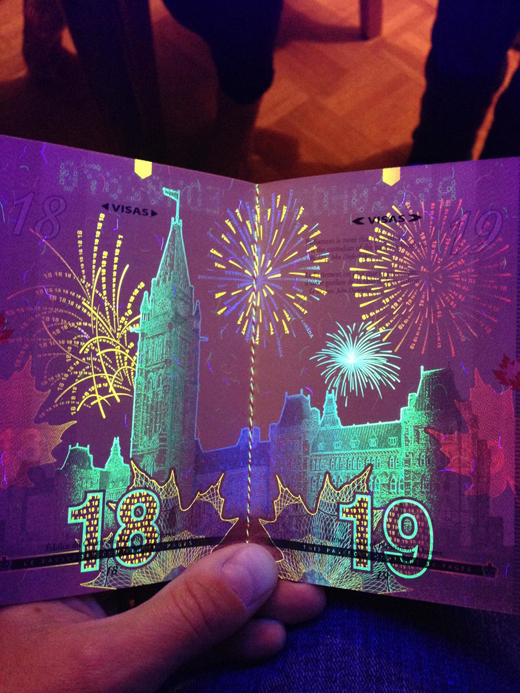 What they didn’t mention is that hidden on every page of the new passports was an incredible new security feature. Not only is it invisible under normal conditions and almost impossible to duplicate, it’s also an example of amazing design. 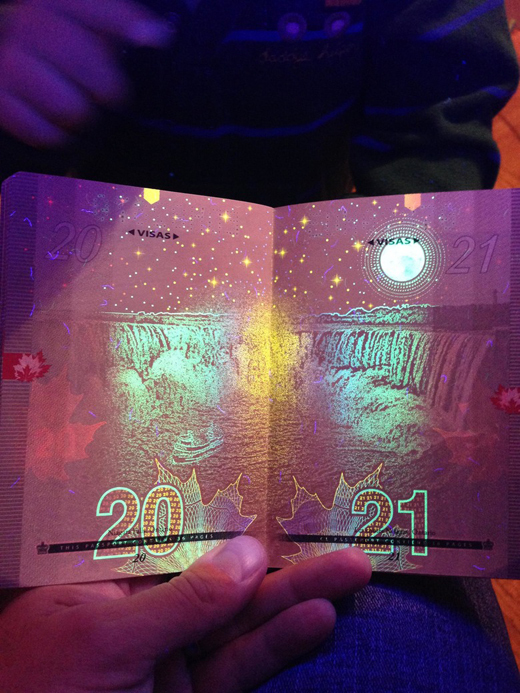 …becomes something spectacular under black light. Behold! 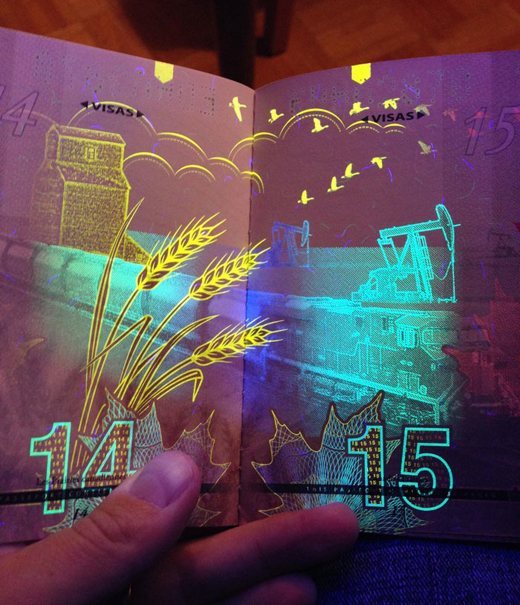 Using optically variable ink that responds and changes color based on how the light is reflected, the hidden art uses iconic Canadian images to create an acid trip on every page. Take a look at some others! 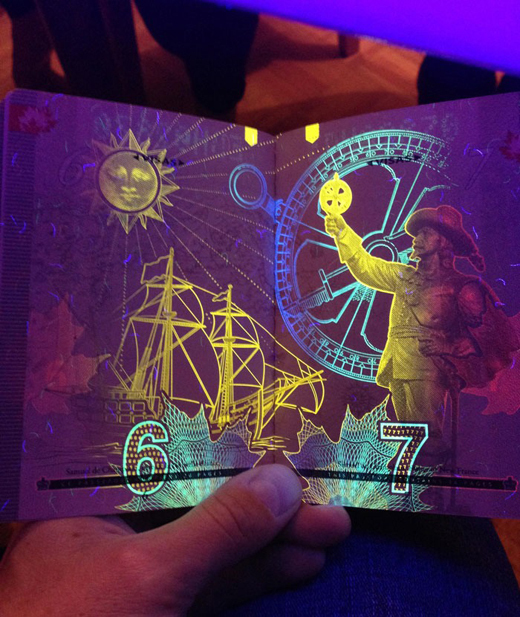 Canada isn’t the only country using this technology to add amazing design (and, yeah, extra security I guess) to their passports. 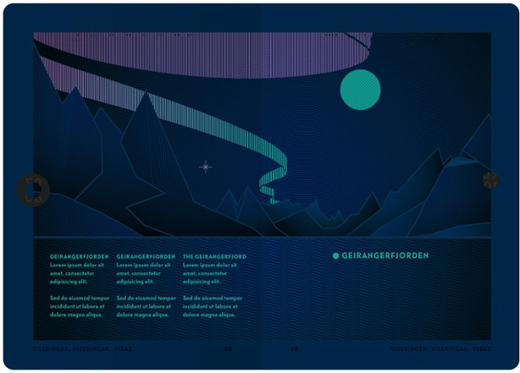 Norway’s new passports, feature a a secret tribute to the Northern Lights. 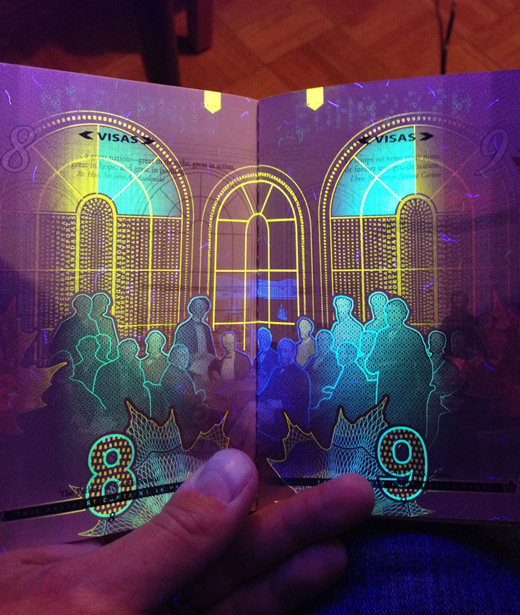 Into making your own black light art? 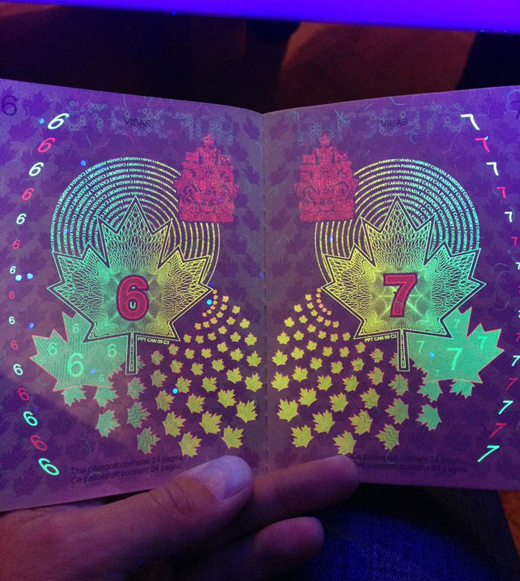 Think I should be more excited about other passport security features? Sound off in the comments.